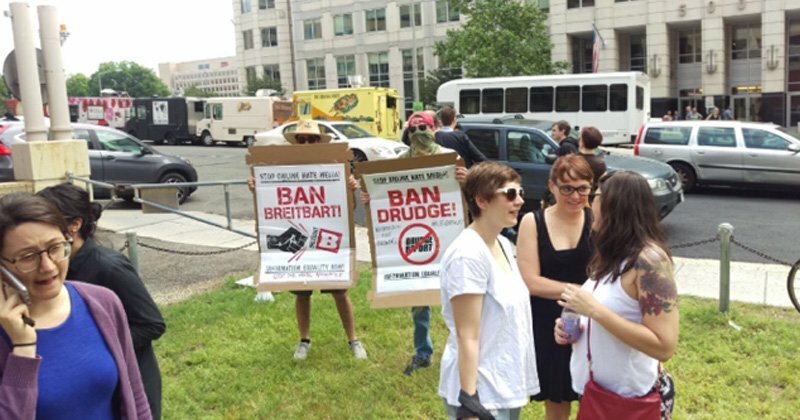 Senator Ed Markey (D-MA) attended a ‘Net Neutrality’ protest today outside the Federal Communications Commission where alt-left protesters who claim to be calling for a ‘free and open internet’ were calling for Drudge, Breitbart and Infowars to be banned. 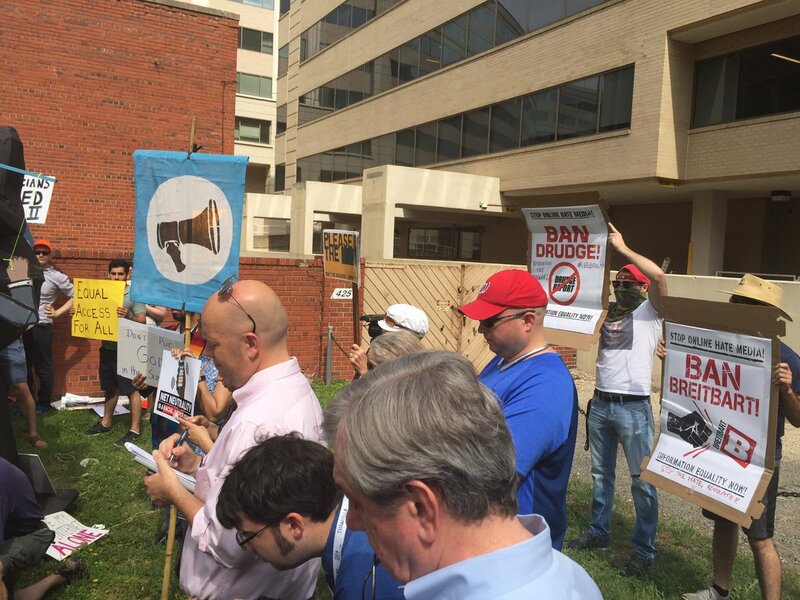 Masked alt-left protesters were attacking the First Amendment this morning as they called for the ban of conservative voices outside of the Federal Communications Commission. One protester held a sign with a picture of Bill O’Reilly and Sean Hannity that said ‘One down, one to go’.